﻿ 5 Successful Women Entrepreneurs Share Their Best Advice » Red Mango Marketing! Which means it’s time to raise a glass (or pumpkin spice latte) to celebrate National Women’s Small Business Month. There are over 11 million women-owned businesses in the U.S.
And that number is growing dramatically each year. In fact, women-owned businesses are growing five times faster than the national average, and businesses owned by women of color have more than doubled since 2007. As part of Constant Contact’s Small Biz Stories podcast, I’ve had the pleasure of speaking with some incredible women who have overcome major challenges to grow successful businesses. Whether you’re thinking about starting a business of your own, or you just need a little extra inspiration in your professional life, these tips will do the trick! When Barbara started her custom-made sugar cookies business, she got the word out by donating her cookies to large charity events. Listen to Barbara’s full story here. Like many small business owners, Kellee left the corporate world to feel a greater sense of freedom, flexibility, and fulfillment. But throughout her years as an owner, there have been plenty of unexpected obstacles. Listen to Kellee’s full story here. Once a loyal customer of French goods store, La Provence, Dawn bought the business over a decade ago. Starting without any business management experience, Dawn believes in the power of learning as you go. Listen to Dawn’s full story here. 4. “Make a commitment to education, to learning as much as you can, an ongoing education.” — Marie Mouradian, owner of Window Designs Etc. With over 35 years of as a business owner, Marie knows the secret to success is to never get too comfortable. Change is part of almost every industry — even window design treatments. Marie prides herself in embracing new trends and refusing to be intimidated by market shifts. Listen to Marie’s full story here. 5. “Don’t quit and don’t be afraid to flex.” — Traci Brown, Body Language Expert at Traci Brown Inc.
As an athlete turned business owner, Traci knows you’re not going to win every day. Sometimes you give it all you’ve got and still come up short. Listen to Traci’s full story here. Any other women-owned businesses out there? We hope you enjoy a happy National Women’s Small Business Month and wish you continued success! Thank you for contributing your talents, chasing your passion, and inspiring others to do the same. If you have any advice to add to our list, we’d love to hear it. Leave us a comment below with your best business advice! 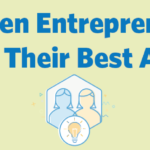 The post 5 Successful Women Entrepreneurs Share Their Best Advice appeared first on Constant Contact Blogs. This entry was posted on Monday, October 2nd, 2017 at 8:00 am	and is filed under Business Tips, Customer Success Stories, News & Updates. You can follow any responses to this entry through the RSS 2.0 feed. Both comments and pings are currently closed.